* game night - special games adjusted for Samhain - you can make your own board game just for Samhain. Gather different games especially suitable for this time of the year in a special Samhain game box. Make your own "I spy" pictures with Samhain related objects. I like these ideas for Halloween games. They have all kinds of groups, like games for teens, games for children etc. "This is a game my theater class played. It can be played any time of the year, but it can also go with Halloween. You're going to need at least 10 people in a group (assuming you have that many). Have everyone in a circle and declare one person 'God'. Now, everyone except 'God' "goes to sleep". God chooses one person to be the doctor, and another to be the judge. Then God chooses three people to be 'the Mafia' and wakes them up, so that they can see each other. They are to choose one of the others to be "killed" without talking. Then they go back to sleep. Now God wakes up the Doctor who is to choose one of the others to be "saved", and goes back to sleep. Then God wakes up the Judge, who is to choose one of the others he/she suspects of being a mafia member, and goes back to sleep. Then God wakes up everyone, and tells the story about how the Mafia tried to kill a person. If the Doctor chose this person to save, the Mafia failed to kill this person. If not, the person dies, and leaves the circle. Then God tells that the Judge condemned of them for the murder / attempted murder, and he/she was executed, and leaves the circle. God tells the people in the circle if he/she was guilty or innocent. If the judge gets killed, the townspeople get to discuss and choose the one they accuse. If the doctor gets killed, there is no-one to "save" the murder victims. The game goes on until there are only Mafia members left in the circle, or no Mafia members." How to host a murder mystery party? Hang doughnuts on a string, blindfold the players, and see who can eat an entire doughnut first, without the use of their hands. 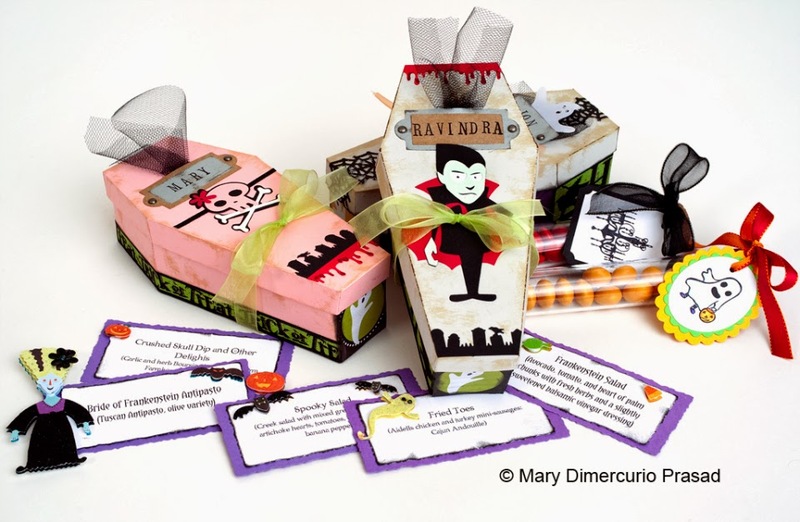 Write bunches of move character names or halloween games/ghouls on small cards. Fold them up and put them in a box or tin. Have a person reach in and take a card. They must act out what is on the card (i.e, cat, Jason X, ghost, vampire, Elvis, Edward Cullen, Apple bobbing) and have the others guess what or who it is. You don't have to have much room to do it, just enough to have seats for everyone else and light on the actor. Play hide and seek in your yard, hiding behind trees. The first one to be caught by the ghost (someone in a white sheet/white clothing) has to do something scary. Have somone dress in a scary costume with a mask. The goal is to find five pieces of candy (or other things) hidden in the house without being touched. "